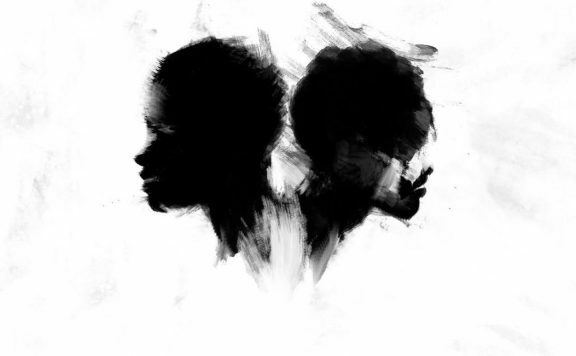 Aaron Neuwirth reviews Jordan Peele's Us, a twisted tale concerning a family besieged by evil doubles of themselves, which is only the beginning. After scoring an Oscar win, along with other forms of unquestionable success with Get Out, Jordan Peele is back with Us. As director, writer, and producer, Peele is in full control here, and he has used his power as a filmmaker to deliver something fresh, scary, and darkly humorous once again. More than simple descriptors, however, is seeing how Us moves into territory that has very little in common with Peele’s previous film. Rather than deliver another contained social thriller speaking to the ills of race relations taken to an extreme, here is an expansive look at the crumbling of the American experience made possible by the darker sides of the human condition. Us follows an all-American family, a well-educated, middle class, black family, to be exact, during a trip to their vacation home in Santa Cruz, CA. Dorky Gabe Wilson (Winston Duke) is the father to phone-obsessed Zora (Shahadi Wright Joseph) and curious Jason (Evan Alex). Gabe’s wife Adelaide (Lupita Nyong’o) sits right beside him on the car ride, though she has a lingering feeling of dread, returning to an area where she experienced a childhood trauma hinted at in the film’s opening. After a day of settling into their vacation, which included meeting up with friends Kitty (Elisabeth Moss) and Josh (Tim Heidecker), the Wilson’s prepare for a quiet evening, only to be disrupted by a mysterious set of trespassers. More specifically, the happy family is besieged by a group of evil doppelgangers who seem intent on causing them harm. It’s very apparent that Jordan Peele is a horror movie geek. The camera work, score, and costume design all speak to a filmmaker dead-set on putting a vision out there that is both original and informed by those who helped inspire him. In this case, it is easy to look at The Shining as just one of the many films Us feels attributed to. And yet, Peele is not looking to become the next Stanley Kubrick. Peele’s handling of tension and his deft ability to balance this horror atmosphere with a sense of humor speaks to a style that is unique to itself. It’s not that no other horror filmmaker hasn’t trafficked in similar territory, as we are instead seeing Peele continue to step forward in his own shoes. With a proper handle on craft, Us is a well-oiled machine fueled by the atmosphere, thrills, and surprise. While the opening builds up to the sort of rush audiences may be looking for when watching the sophomore effort from the director of Get Out, the rest of the film feels like an appropriate pivot from expectations. Establishing the family takes as long as it needs to and a larger budget allows for a grander establishment of the areas we’ll be contending with at different points. For a home invasion movie that warps into some kind of Body Snatchers film, Us has many moving parts and gear shifts in what is being delivered, and yet it never feels like it is taking on too much for its own good. At nearly two hours, Us covers a lot of ground, though it makes a conscious choice in how to explain its mysteries. I can already sense the level of frustration that could be had by many in this modern age as far as seeing a film that doesn’t choose to hold the audience’s hand for the sake of clearing up every detail. However, even after having a handle on what it is these doppelgangers known as “The Tethered” are after, it feels like audiences will only be rewarded by revisiting this film multiple times. Clues are indeed all over the place, though Us is not a guessing game. Unraveling the plot comes second or third to taking in the poignant analogies in regards to class and witnessing these spectacular and very specific central performances (each actor providing two distinct characters). 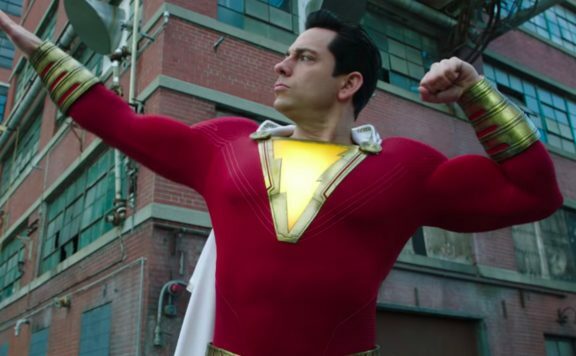 Taking in only the structure of the film and where it all leads is beside the point when considering how the film tackles being one’s literal own worst enemy. 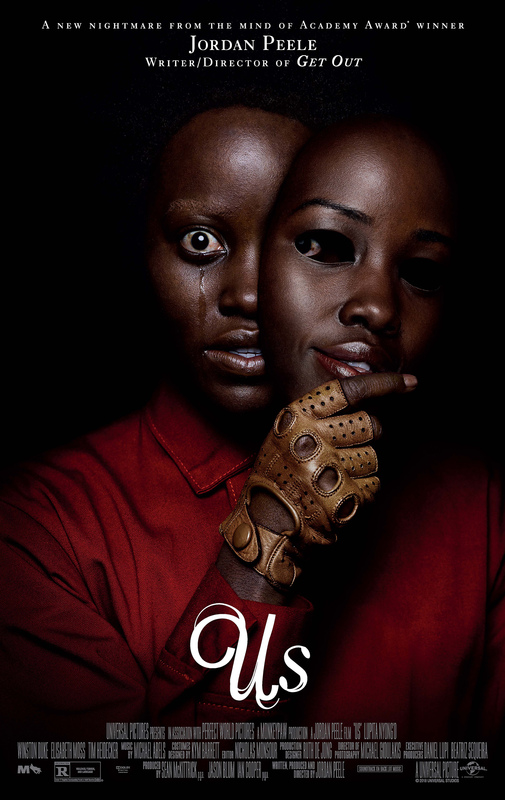 Attaching that concept to a world that twists an idyllic depiction of family fun into a terrifying realization of how divides can affect us all speaks to the wit Peele has packed into his screenplay. Leaning on a supernatural element to accomplish this may lead to questions, but I was more than satisfied with how Us chose to explore its central conceit. Only adding to all of this are the actors who allow the film to balance out possible readings of Us as an explicitly political film. Duke, who won many over as the commanding M’Baku in Black Panther, revels at the chance to pile on the dad jokes. When matched with himself, his alter ego is a massive brute, barking his way towards personal mayhem. The kids, Alex and Wright Joseph, work as innocent siblings, only to show a deep menace as their evil doubles, invoking fear in primal ways. Moss also has the chance to deliver on some chilling moments of danger, as the film ramps things up to incorporate more of a world seemingly being overtaken by a nightmarish concept. The film rightfully belongs to Nyong’o, however, who does not disappoint in her first true leading role, since bursting onto the scene with her Oscar-winning performance in 12 Years A Slave. As Adelaide, we can see the love she has for her family, in addition to the trauma that’s been affecting her throughout her life. As her evil double, we watch an entirely different person move with the chilling grace of someone who has methodically planned to help spring the most heinous of traps on the world around her. With a voice that feels like Nyong’o is speaking with a collapsed lung, it’s all the more impressive to see this malevolent force portray just as many emotional layers as the mother fighting for her and her family’s lives. Knowing that red jumpsuits and golden scissors will soon be a Halloween staple is a good sign, but merely one of the many after effects Us is sure to have. The film has an unnerving edge, with enough implications and ideas that are sure to be discussed for some time. Not flinching in the face of logic manages to go over quite well given the immediacy of what we see by following the Wilson family, each of whom is expertly acted. There are indeed questions that may remain unanswered, but the topics brought up and filtered through Peele’s wicked vision seem far more interesting. Given what he’s delivered before and now, whatever’s next for Peele, he’ll likely have us again.